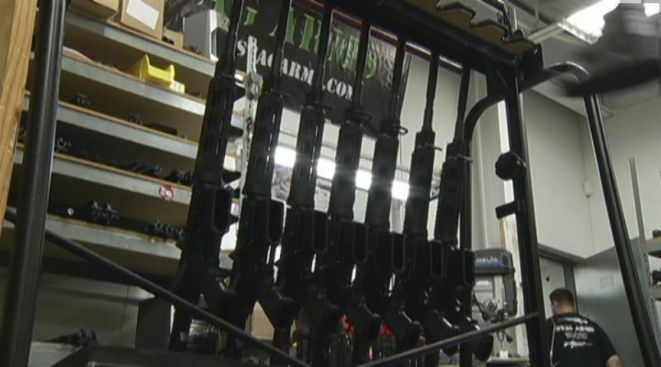 As the Connecticut General Assembly is poised to pass what is being called sweeping gun control legislation, the state's gun manufacturers say the new laws could be crippling. "I feel like we have one foot being pushed out the door," Mark Malkowski, the owner of Stag Arms, said. Stag Arms in New Britain, which makes the AR-15 rifle, received yet another offer on Tuesday to move out of the state. It brings the total to 21 offers. "They're really good offers," Malkowski said. "They are offering tax abatement's, they're offering to build you a factory." Malkowski said he hasn't made up his mind if he will take his company elsewhere. Stag has a lot of in-state customers. The AR-15 would be banned under the new law. "I'm going to do what's best for the company and if it means I have to move, I have to do what's best for the company," he said. Gun manufactures said the legislature's proposals would do nothing to make people safer and do everything to hurt the firearms industry in the state. New Britain-based Ammunition Storage Components makes 30-round magazines. It's the main product and something that will be illegal once the law is passed. Owner Jonathan Scalise is concerned about what happens after this law goes into effect. "What's bothering me the most is I don't know what's going to happen to the business come Friday," Scalise said. He is worried for his employees and is concerned about all of the product that is still sitting in his warehouse. "If this stuff is illegal on Thursday, I can't have them come in here and posses this," Scalise said. Governor Dannel Malloy tried once again to reassure the state's firearms manufacturers on Tuesday. He plans to send letters to all of the companies. "As long as they're manufacturing product that can be legally sold in the U.S., we'd like them to stay in the state if they want to stay in the state," Gov. Malloy said.